I'm Not Sure How or Where to Get Started! And the answer to that question really depends on What you want to earn and How committed you are to expanding your learning. Scroll thru these options and see which fits you best! "I want the EASIEST way to get started..."
Start with the Creative Lettering Journal. Why here you ask? The Creative Lettering Journal starts you out with markers instead of fancy brush pens. 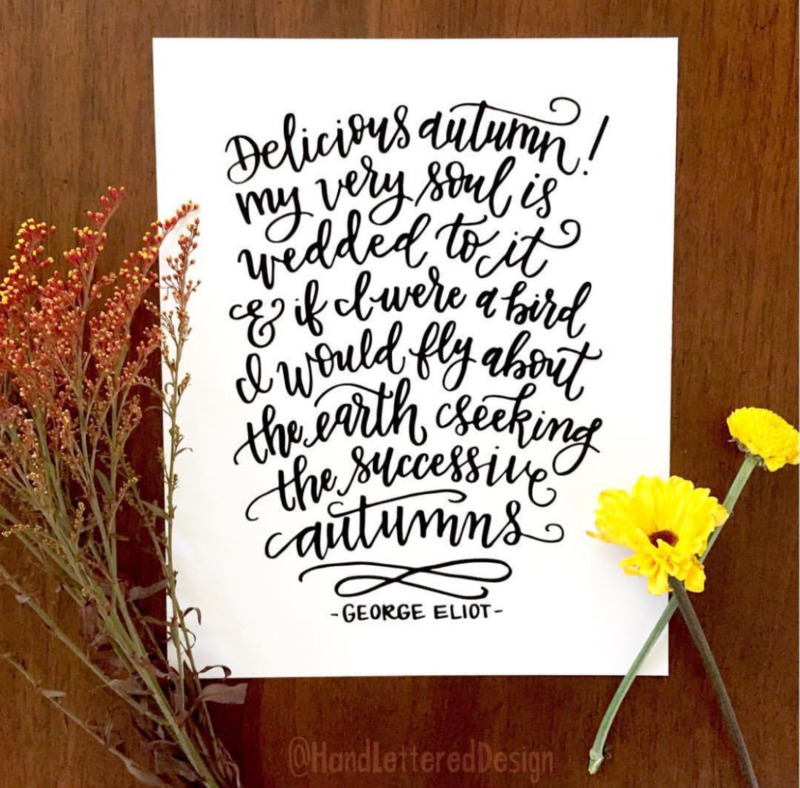 The best way I can describe this technique is "faux" calligraphy, but the results are fantastic and Instagram-worthy. YES, you can create beautiful modern calligraphy with a couple markers from your kids' art set, no fancy equipment necessary. I sell a set of really nice markers for a really great price here in the store (I'll so you them if you choose to buy this book) and I also recommend crayola washable supertip markers as an alternative. There are 14 beautiful coloring pages that you can color in using colored pencils, watercolors, crayons, gelly roll markers, you name it! The backs of the coloring pages are blank so you can pull them out to frame if you’d like to – each one has faint dotted lines around 3 sides to make it easy to cut it down to 8×10 size and frame. If you’re not going to remove it, that blank backside is a great place for more journaling or lettering practice. The 14 reflective journaling pages include my insights about the quotes shared as well as a prompt for you to journal your own thoughts and feelings. I find that when I’m being creative, I have some of my best thoughts and it’s wonderful to record them right there. Each one is meant to be short and sweet to be able to do in one sitting (and then you feel like you’d accomplished something!). At the end of the book, there are 2 color-in Thank You Cards that you can cut out, fold in half and send to someone you love which goes along perfectly with the theme of Gratitude present throughout the Creative Lettering Journal. After that, you’ll see two blank wreaths where you can add your own lettering designs! After you’ve have a chance to practice, this is a great opportunity to add your touch to these pages and create something beautiful! "I Like the Idea of Lettering with Markers, but I don't learn well from a book..."
In an ideal world I'd be sitting right next to you showing you step-by-step. I got started teaching lettering in front of a class. I would have these really fun events, everyone could watch me make each stroke, see how I was holding my marker or pen, where I laid down my arm, all those things that are hard to describe without a picture. If the setting sounds like a more ideal place for you to learn lettering then I have just the thing for you, try one of my online courses! 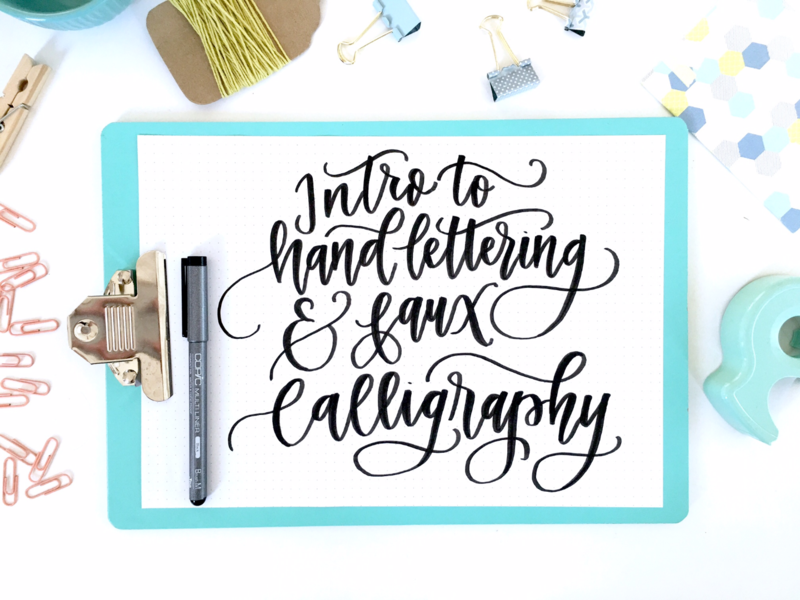 I recommend everyone taking my courses start with "Intro to Hand Lettering & Faux Calligraphy." Go check out the trailer and see all the modules that are included. The course starts at $75 but you can save if you bundle it with my "Beginning with Brush Pens" course which is the logical follow-up course after this one. "I want to learn to letter with BRUSH PENS!..." The Guide to Mindful Lettering is for you! This is perfect for beginners or if you've been trying lettering on your own for a while or want to add more intention and meaning to your practicing! It will teach you all the tips you need to learn brush lettering. Included in the Guide are 4 pages of introduction, 26 pages of lettering instruction and worksheets and 50 positive and healing affirmations to trace and re-write. The book has a sturdy 14 pt matte UV cover, nice smooth 80 lb pages that won't bleed (hooray!) and a spiral binding to lay flat. "I am interested in Brush Pen Lettering but I really need you to Show Me!.." This is the next best thing to me being there in person. Try my "Beginning with Brush Pens" online course. You've seen people creating beautiful calligraphy, but when you try it on your own, it just doesn't turn out the same... When I first got brush pens I was beyond frustrated. After a ton of work, research & practice, I finally unlocked the keys to making them work like magic and can't wait to share these tips with you! 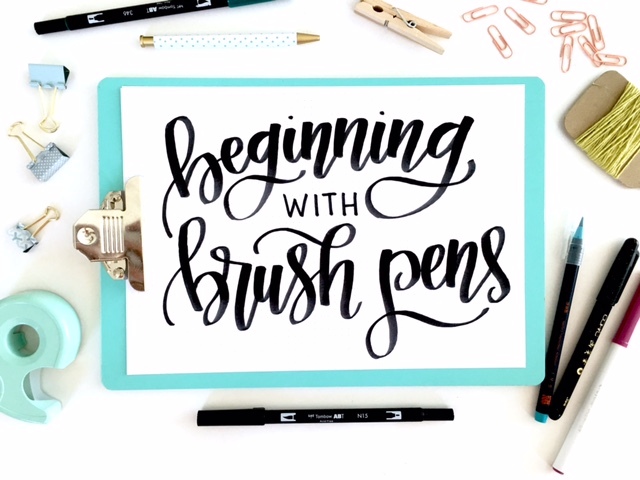 This course will teach you all the tools and tips you need to use a brush pen like a pro! 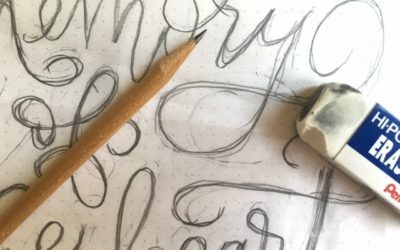 This class starts at $65 but you can save if you bundle it with the "Intro to hand lettering & faux calligraphy" course. 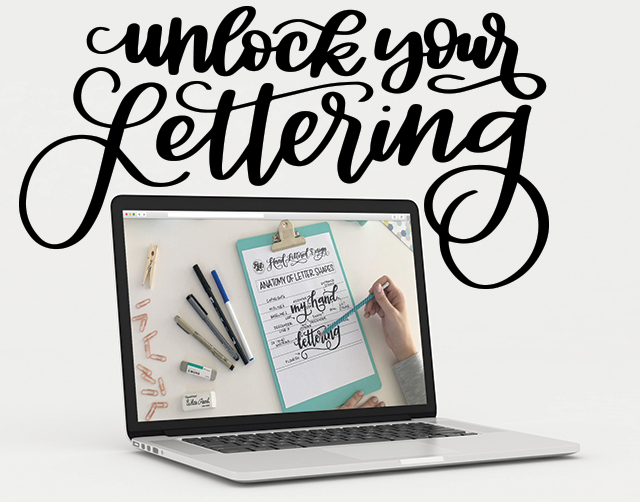 "I'm interested in lettering, but do you have anything free to help me get started?" Also, follow us on Instagram and Facebook. I publish a lot of content on both platforms. I share videos on Youtube. Check out my Blog. Whatever you choose, don't be afraid to get started. I LOVE lettering and I want to help anyone interested in a meaningful hobby to get started today.